Back in 2011 – when there were several individual former athletes challenging the NCAA, CLC, and EA as opposed to the consolidated and potentially monumental class action one the trio faces now – Ryan Hart had his own attempt at litigation shot down. 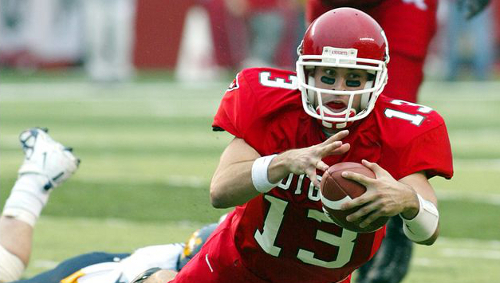 The case had been filed in 2009 with Hart claiming his appearance in the NCAA Football series when he was a QB at Rutgers from 2004-2005 should have resulted in compensation. Dismissal in 2011 was won on the basis that video games represent artistic works rather than commercial speech and therefore are protected under the First Amendment. As long as names wouldn’t be used characters could be based on real life skills and appearance. Essentially video games were being considered for protection in the same manner as other forms of entertainment such as movies. Should the high profile player likeness lawsuit be certified as class action – read the latest update on that with all the pertinent details and developments of the case up until now – it would seem likely Hart would then become a part of that group. If class action isn’t certified Hart would then have a more clear path to continue his own suit against EA. The argument that was used to convince a federal judge in New Jersey being overturned by the 3rd Circuit Court of Appeals is another sign that the defendants are in big trouble. When it comes to EA they’re going to struggle with convincing a jury that the players aren’t based on real-life individuals. Their best bet appeared to be the First Amendment angle and that it got reversed in this instance makes for an especially troubling outcome for them.